It is the beginning of a new era for the famous Welsh Streets in Liverpool, which many local residents view as an inspiring conclusion to a very long story. They were originally constructed by Welsh builders for immigrants seeking work and housing who had moved from Wales, and there were more than 20,000 Welsh builders working in Liverpool by 1850. The land in Toxteth was leased for housing development and in excess of 4,000 houses were built during the 1870s. Named after Welsh towns, valleys and villages, the streets include Wynnstay Street, Rhiwlas Street, Powis Street and Pengwern Street and the homes were well constructed and extremely popular. Then in the early 2000s plans were announced to demolish the housing estate and build new, but fewer homes in their place. But the funding was withdrawn in 2010 and the demolition never took place. Since then there has been a long and bitter dispute about what to do with them, but because of their long heritage and popularity some local residents fought hard to save them. Eventually plans submitted in 2013 suggested that 150 houses could be built and 40 refurbished, including the one where Ringo Starr was born. However, the plans also would have seen the demolition of homes from other surrounding Welsh Streets to be replaced by semi-detached properties. Once again, these plans ultimately fell through and the Victorian terraces stood empty and in disrepair. After many years of endless disputes, finally things started to happen. In 2017 a pilot scheme was launched involving the refurbishment of houses in Voelas Street by Placefirst. All of these properties were snapped up by local residents within the first weekend. The renovations included remodelling some of the floorplans and knocking through to adjacent homes to create some larger properties, while still retaining some of the original houses. Now Plus Dane Housing and Liverpool City Council are embarking on a £17.4 million regeneration project and will be launching the first of their exciting new homes in a matter of months. Barbara Spicer, Chief Executive of Plus Dane housing said, “Our involvement in the Welsh Streets spans decades. Following lots of disappointments for our tenants and other people living there we have remained committed and determined to supporting the much-needed improvement of the area. Residents have been consulted on the latest plans and will continue to have a genuine voice to ensure the homes meet their needs and expectations. We are excited to be able to finally bring forward these plans which will play a significant part in the wider Welsh Streets regeneration and make a positive difference to the area. “Our plans complement those of Placefirst perfectly and will result in a vibrant, sustainable community. It is important for us to ensure there is a mix of affordable options for our tenants and people who may want to live here in the future, so we will be offering a combination of affordable rent, rent-to-buy and shared ownership in the new Welsh Streets. Plus Dane tenants who currently live in the Welsh Streets will move out while the work takes place, but can return to a newly refurbished home if they want to. It is expected that the transformation of the Welsh Streets will be completed in 2021. Councillor Frank Hont, Cabinet Member for Housing at Liverpool City Council, said, “The regeneration of the Welsh Streets is a great example of how the city council is working with numerous housing partners, like Plus Dane, to bring vacant properties back into use. In the past four years alone, we’ve managed to convert 1,500 vacant units into homes and aim to breathe new life into 3,000 more over the next four years. The Welsh Streets consist of traditional, small Victorian terraces with limited living space and only a downstairs bathroom. To create homes that are more suited to modern-day living, in some instances two properties will be knocked into one, bathrooms will be moved upstairs, kitchens will be increased in size and upgraded and outdoor space will be improved. The current terraces will be replaced with a mix of two, three and four bedroom homes which will have new roofs, re-wiring, new heating systems, new windows and replacement kitchens and bathrooms, plus new damp proof courses and insulation. Placefirst is leading the refurbishment and remodelling of empty homes on Kelvin Grove, Wynnstay Street, Voelas Street, Rhiwlas Street, Powis Street, Madryn Street, the north side of Kinmel Street, alongside a number of properties on High Park Street. 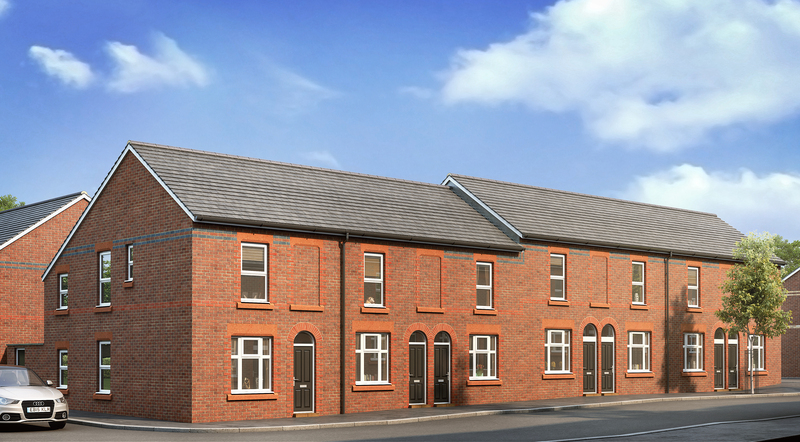 In total, Placefirst expects to deliver a total of 295 homes at Welsh Streets. Plus Dane will build 99 new homes by regenerating Gwydir Street, Pengwern Street, Treborth Street, South Street and the south side of Kinmel Street. There are two shared ownership properties in the initial pilot scheme for sale. The two bedroom home costs £42,000 for a 40% share with a full market value of £105,000. The three bedroom home costs £50,000 for a 40% share with a full market value of £125,000. They feature fully fitted contemporary kitchens with integrated Zanussi oven, hob and extractor and fridge/freezer. They will also have fully paved outdoor space to the rear accessed via French doors in the sitting room.